The DL06 is the first Koyo micro PLC to combine its fixed I/O of 20 inputs and 16 outputs with four option card slots for expansion (discrete, analog, communication modules), all in the same package. 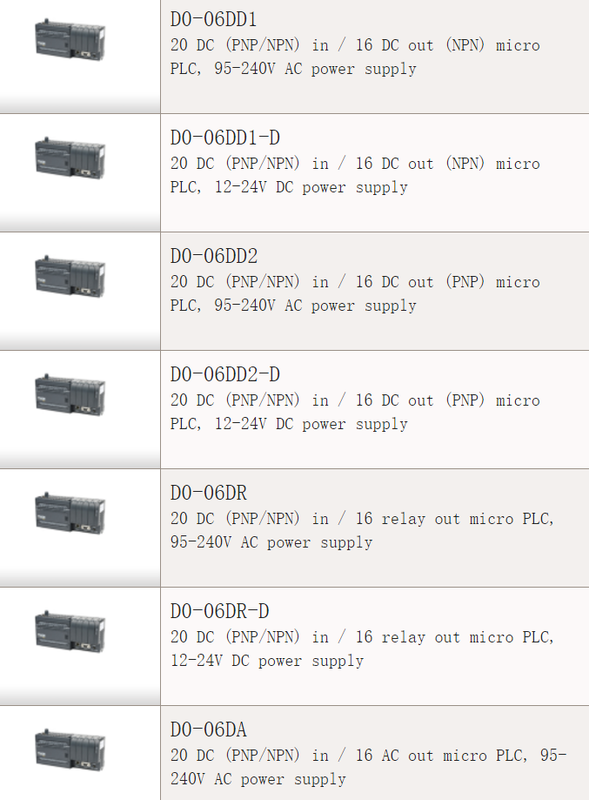 With the DL06, you can use the same PLC panel layout for all applications from 36 to 100 I/O. The DL06 offers five I/O combinations of AC, DC, and relay I/O. The unit has 4 expansion slots which can hold discrete or analog I/O modules and/or special modules like a high-speed counter, ethernet, CoProcessor or a communications module. 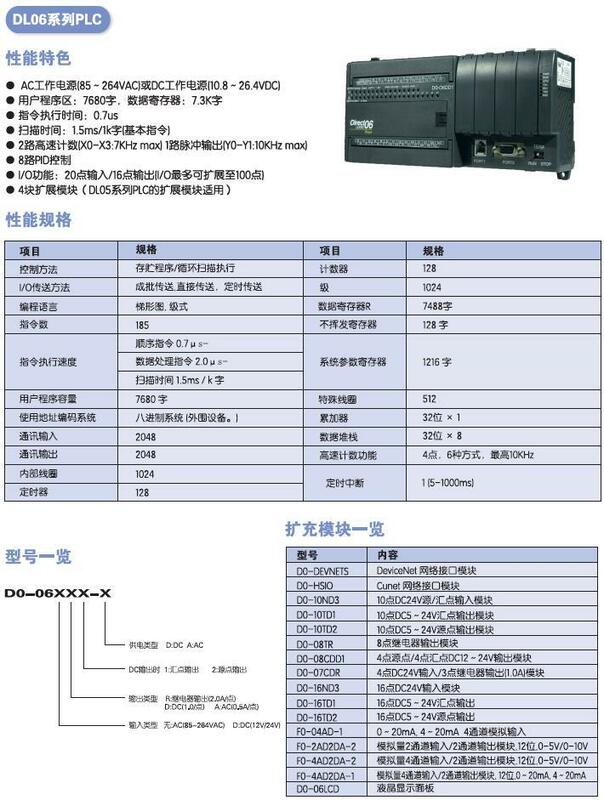 The DL06 CPU offers PID capability, high-speed counting, floating point number handling, and an instruction set with many powerful instructions. 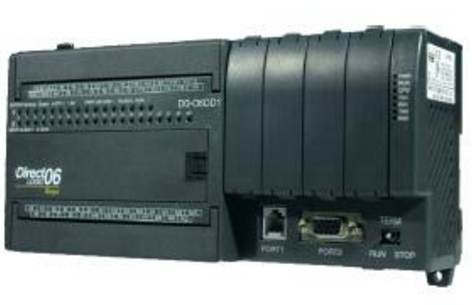 All DL06 PLCs have two built-in communication ports that can be used for programming, operator interface, networking, etc.